Rate: $25 per day for 30 amp/$30 for 50 amp – 7th night free (per phone conversation – not posted). You make your reservation by calling and are assigned a site(on board when you arrive as are opens sites) or just show up and see what’s open. 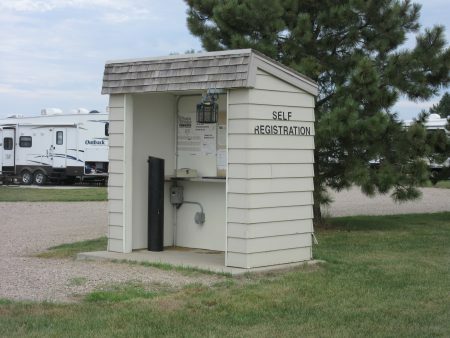 There is self-registration check-in. Fill out the form, place your check or cash payment in an envelope, and deposit in tube located at entry to the park. Lot: This is a small sized park. The lots are gravel based and level. All lots are pull through. The park is maintained adequately. There are no trees, but that’s not unusual in this area. Positives: The park is adjacent to the interstate with quick on and off interstate access. 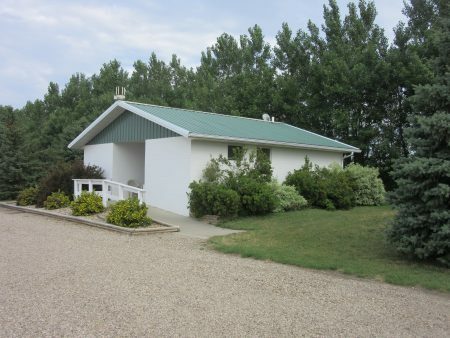 This is a nice place for an overnight stay or a weekend. There are few long-term campers in this park. 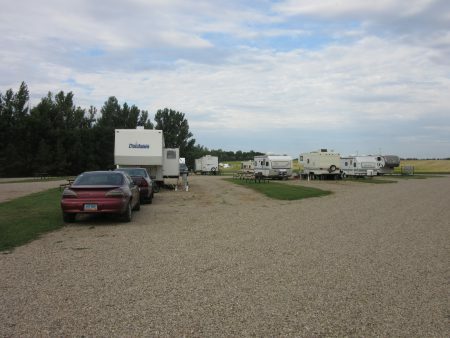 Negatives: The park is about 10-15 miles from Bismarck, so it’s a bit of a drive for supplies if needed. 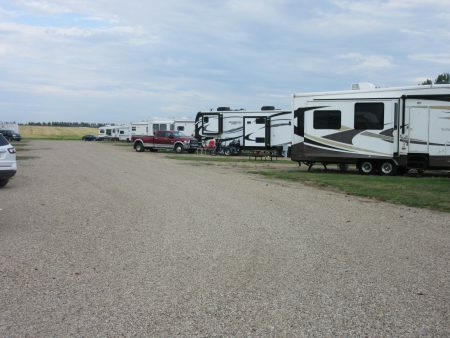 There are no recreational activities on site; it is simply a place to park your RV. 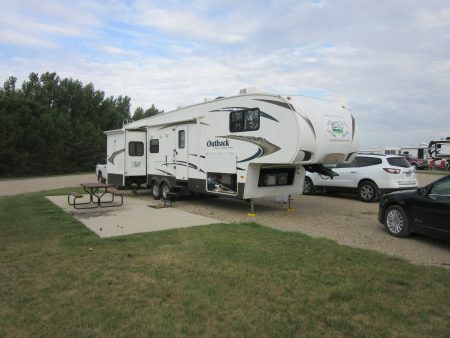 This park is set to accommodate campers for a quick overnight or weekend/week as they travel the interstate through North Dakota. 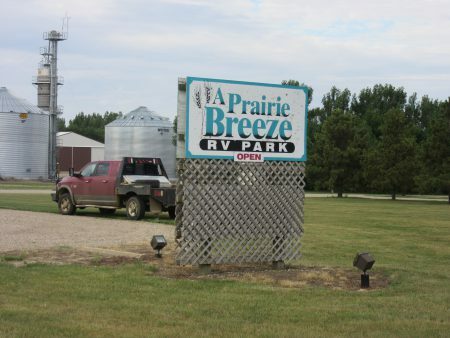 It is a clean and well-maintained park.